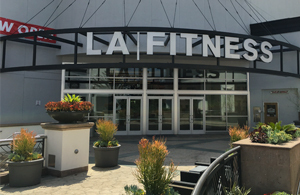 Born in Southern California in 1984, LA Fitness continues to seek innovative ways to enhance the physical and emotional wellbeing of our increasingly diverse membership base. Today, LA Fitness' state-of-the-art clubs span the continent and we’re still expanding. With LA Fitness' wide range of amenities and a highly trained staff, the gym provide fun and effective workout options to family members of all ages and interests.